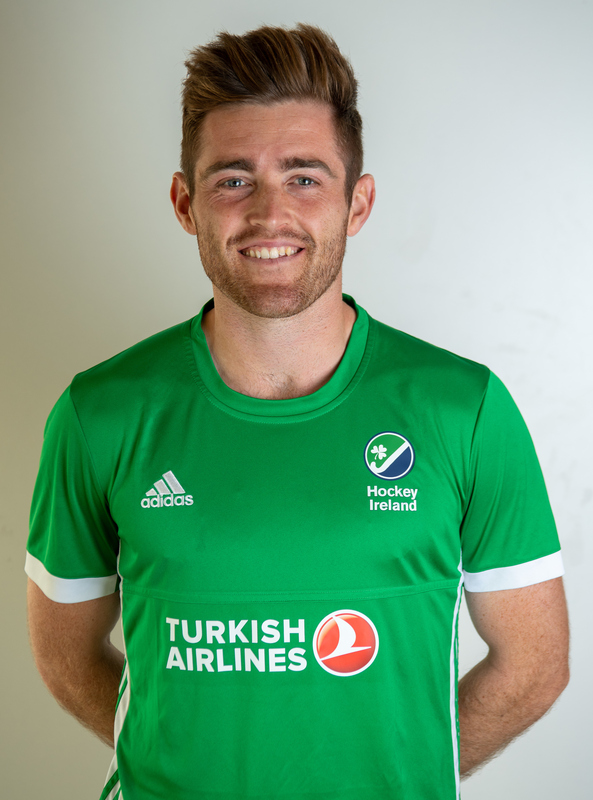 Ireland’s most capped hockey player – going to India one ahead of Shirley McCay – Eugene Magee has been a mainstay of the Irish midfield and forward lines since making his debut at 19 years-old back in 2005. Prior to that, he combined his hockey in Banbridge Academy with playing minor hurling for Down and his club Ballela. His close technique is among the strongest in the side which he combines with clever three-dimensional skills, making him one of the most composed performers in the team. With a keen eye for goal, he has scored 52 times for Ireland with a mix of goals from play and also as an alternative option at penalty corners, regularly employed for switch moves. He is well-travelled, enjoying spells in the Netherlands with HGC, Dragons in Belgium and Crefelder in Germany and also Australia. With Dragons, he landed a bronze medal in the Euro Hockey League competition with Dragons in the 2011/12 season. In between those spells, Magee has been a key player in successful Banbridge teams, captaining the club to the Irish Senior Cup in 2015 and leading them to an EY Hockey League title in 2017. With Ireland, Magee has played in the last three Olympic qualifying cycles and five European championships campaigns, culminating in the bronze medal in 2015 in London – Ireland’s first elite level medal. After all his efforts, he finally became an Olympian at Rio 2016. Magee’s part in the World Cup qualifying process, though, was a mixed one from the agony of suffering an ankle injury that would rule him out of the 2017 Europeans to the ecstasy later that day of beating New Zealand for the first time to secure the ticket to Bhubaneswar. His day job is as a software engineer for a golf technology company. Mitch Darling is a diminutive forward who has been a central part of the Irish panel since 2009. Sprightly in front of goal, he is also famed for his work-rate in transition at the head of the team’s press, organising from the front. He returned to Irish action in May this year for the first time since the Rio Olympics, taking time out to focus on his work. He is a solicitor by trade and took extended leave to be part of the preparations, something which meant he missed the World Cup qualifying process in 2017 and the Euros a month later. Prior to that, he had been a key figure in the Irish team in the 2012 Olympic qualifying campaign, winning European bronze in 2015 and playing in the 2016 Olympics, scoring a peach of a goal in the 3-2 loss to Germany in the group stages. 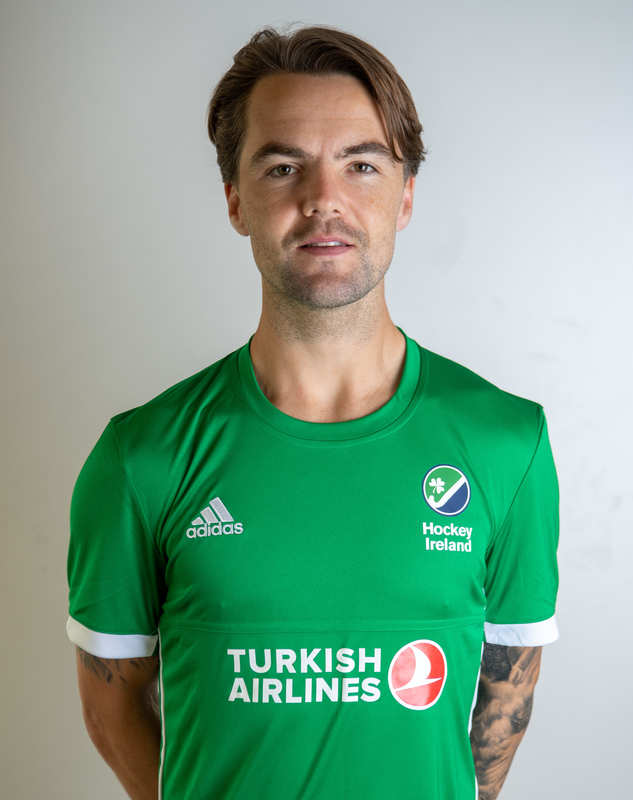 He has enjoyed a number of stints outside Ireland, playing first KHC Leuven in Belgium and has played with three clubs in the Netherlands: Den Bosch, SCHC and Rotterdam. 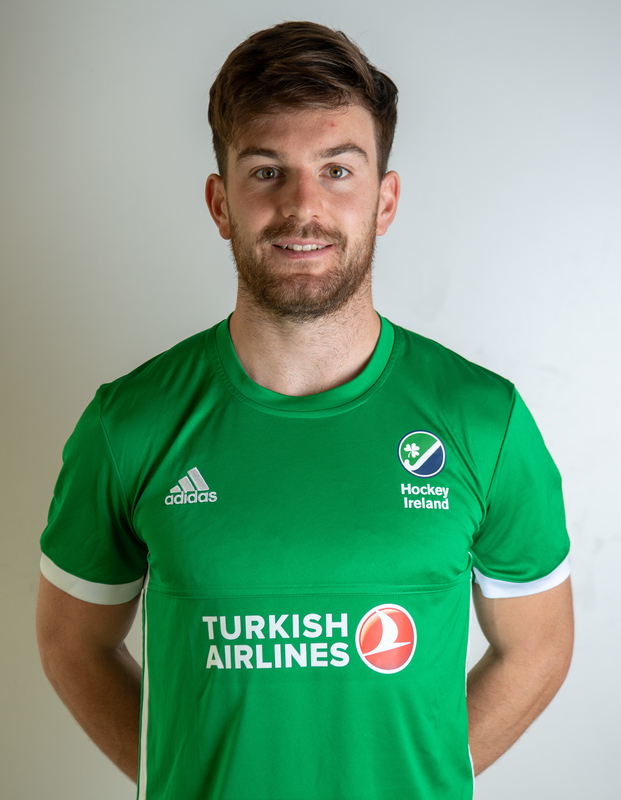 Otherwise, he has been a Three Rock Rovers club member with whom he won Irish Senior Cup and EY Champions Trophy titles earlier in 2018 and impressed at EHL ROUND1 in Barcelona, advancing to the KO16 ahead of Spain’s Junior FC and Racing Club de France. His Irish debut came just 26 days after his 18th birthday at a four nations tournament in Gniezno in Poland, making him the fourth youngest player to play for Ireland. He passed 50 goals for his country – eighth on the all-time list – in Valencia earlier in November this year. Matthew Nelson enjoyed one of the most meteoric rises to the national scene from the junior age groups. In July 2016, he rescued the Irish Under-18’s place in the top tier with an equalising goal seven minutes from time against Italy with a virtuoso solo goal. His raw pace and direct running are a feature of his game. Just five months later, he was part of the senior setup, making his debut in November that year and was then included in the full schedule of big events for 2017. This started with World League Round 2, progressing through the Hamburg Masters, World Cup qualification at the WL Semi-Final in Johannesburg – scoring a key goal in the win over South Africa – and the European Championships. In total, he played 28 of 29 international matches over the course of the year, the most of any Irish player. Indeed, he will be the fastest Irish player of all-time to 50 caps when he plays his first game in Bhubaneswar. During his youth, while he took up a stick first at age seven, he combined his talent between hockey and football for much of that time before focusing on one. He was one of the flyers in Lisnagarvey’s EY Hockey League and Champions Trophy success in 2016. He is currently a trainee teacher at Stramillis College. The qualifier! In both of Ireland’s qualifying campaigns for major world events, a single Alan Sothern strike has often been the pivotal moment. For Rio 2016, he nailed a corner against Pakistan for a critical 1-0 win before scoring again against Malaysia in their final World League 3 tie, earning the ticket to the Olympics. For this World Cup, his strike with 11 minutes to go against New Zealand also yielded a 1-0 win that guaranteed passage to Bhubaneswar. Those goals, with a supreme poacher’s instinct, are what have him fourth on the all-time goalscorer list, rapidly closing in on third place Stephen Butler on 78. He was a central squad member from 2009 but injury cruelly ruled him out for the 2012 Olympic qualifiers. He returned to the panel in 2013 to score in World League Round 2 in India. Sothern also netted in the 4-2 win over England in August 2015 in the European Championships bronze medal win. He was part of the Rio team for the 2016 Olympics and then followed up with some cracking performances at the World League Semi-Final in 2017 where his three goals, along with that winner against the Blacksticks, set them on course for the World Cup. 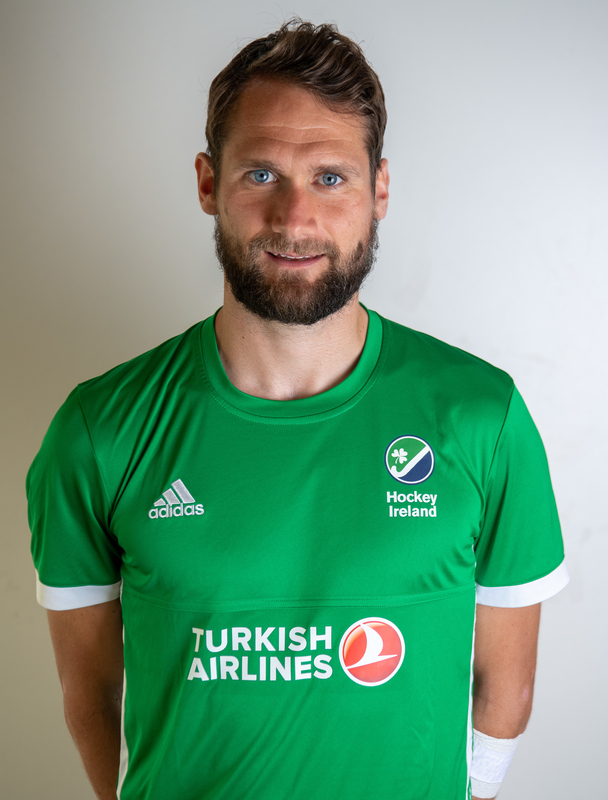 Pembroke is very much his home club with his father Charlie a long-time member, often managing the first team, and he won back-to-back Irish Hockey League titles with the club in 2009 and 2010. In between times, he has lined out in the Dutch league with Den Bosch and in Belgium with Racing Club de Bruxelles. He is currently with La Gantoise in Belgium where he scored eight times in the first half of the season. Sothern is also a Type One diabetic. Jeremy Duncan’s life as an international took off in 2017 when he admits he took the conscious decision to live a high performance lifestyle to pursue an international place. Prior to that, he was known for prodigious talent with deceptive stick skills which he showed off for Railway Union – reaching their first Irish Senior Cup final since the 1970s in 2012 – and then UCD. It paid off soon after moving to the pro ranks with Herakles – whom he helped to the FINAL4 of the Euro Hockey League – as he made his ranking tournament debut at World League Round 2 and received further call-ups to the Hamburg Masters’ gold medal run and World League Semi-Final. He was born in Australia, first picking up a stick at “age three or four” with his mother, Valerie Parkhill, the instigator. An Irish Senior Cup winner with Old Alex, she was part of the famous Irish team that won the 1983 Intercontinental Cup winning side in Kuala Lumpur. His father, Tony, “had never seen a stick in his life until he met my mum” and he remains a rugby man. They moved to Ireland full time when Jeremy was nine with his father taking up a role in Kilkenny College. As a result, for his entire secondary school life, his son tag-teamed rugby and hockey at different stages. His focus on hockey now, though, is paying major dividends. He came to Irish international attention with a fine performance in the 2009 interprovincial tournament as a last minute call-up for Ulster. He impressed enough to make his Irish debut just three months later – on the same day as Paul Gleghorne – and never looked back, becoming a central panel member in 2010. His debut came at the age of 23, the second oldest debut of this current group after Jonathan Bell. He grew up in Newtownards while his school days were based in Bangor Grammar before he moved to Bath in England for his studies. His next move to Reading saw him move into the English Premier League, playing in the Euro Hockey League, before switching to Racing Club de Bruxelles for two seasons, helping the side finish second in the Belgian league. Outside of hockey, Cargo is a technical consultant with an applied intelligence company and he has played for Hampstead and Westminster in England for the past two seasons. 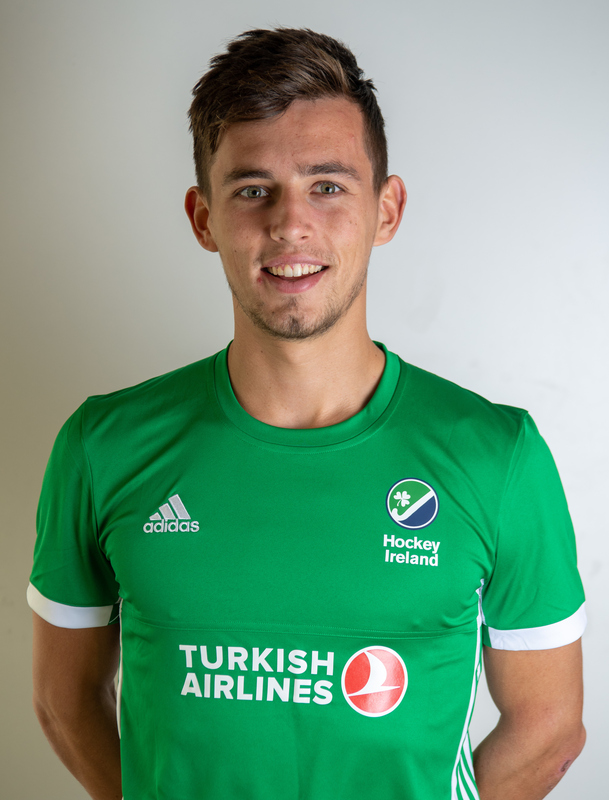 One of the rising stars of Irish hockey, Daragh Walsh has some of the trickiest skills in the squad and an array of stylish shoot-out moves should it come down to it. His international debut came at age 19 when he lined out against Pakistan in a 3-2 at Lisnagarvey and, within three months, played in the Hamburg Masters success and made his major tournament debut at the European Championships in Amstelveen. He had come to national attention as a 16-year-old when he was called into the Irish Under-21 side for their Euro Junior Championship II gold in Lousada, Portugal. He was due to play again at that age group in 2017 before injuries opened up the opportunity at senior level. On the club front, his beginnings in the game were at Corinthian Hockey Club in Whitechurch before moving to nearby Three Rock Rovers in his early teens. There, he won an Irish Senior Cup title aged just 16 and he has since won a myriad of titles, including two EY Champions Trophy crowns, another Senior Cup as well as two National Indoor Trophys and a EuroHockey Indoor Club Challenge II last February in Georgia. He played a starring role in Rovers’ EHL ROUND1 exploits in October 2018 when they advanced to the KO16, eliminating Spain’s Junior FC and Racing Club de France, displaying his midfield magic. Sean Murray is one of the new breed of Irish internationals who emerged in 2017 following the Rio Olympics, stepping up quickly to become a mainstay of the side. He made his debut in a 2-2 draw in 2015 with Argentina and played a couple of times at the back end of November 2016 against Spain. 2017, however, saw him become a key man in midfield, performing well in the World League Round 2 in his native Ulster. Murray was part of the Hamburg Masters team that won gold in June and he played a full part in the World League Semi-Final in Johannesburg. He gained further international attention with two classy goals in the Europeans, snatching an equaliser against Germany in their 1-1 draw. Indeed, his eye for goal has seen him net 10 goals from play in 51 caps, something which he showed at Easter 2017 in the Euro Hockey League KO16 with a viral hit when he flicked over Atletic Terrassa’s Marc Calzada’s head from point blank range for Lisnagarvey. In 2018, he has again been central, lining out in 22 of 27 games, missing one of the games at the Sultan Azlan Shah tournament in March through illness but, again, scored a key goal in the 3-2 comeback win over India. His youth saw him come through Wallace High School where he captained the team to the 2015 Burney Cup title. Lisnagarvey is his family club with his father Mark a key organiser – and Irish masters international – there. With Garvey, the high point was winning the EY Hockey League and Champions Trophy in 2016. Since graduating with a maths degree from Queen’s University, he has been snapped up by HC Rotterdam in the Dutch Hoofdklasse. Since then, he has been an ever-present in tournament panels, working as a perfect foil to Shane O’Donoghue, his lengthy runs helping facilitate a fast, counter-attacking style. Those performances have helped Ireland’s run toward Olympic qualification and European bronze. Memorably, Shimmins won the penalty stroke in the last five seconds against England which O’Donoghue converted to secure the bronze medal in that 4-2 win. He played a full role in Rio in all five matches. He took a little step away from the panel before returning to the fold in time to be part of the 2017 Europeans squad. He started playing hockey at the age of 11 with Pembroke and Wesley College with whom he won numerous schools titles while also playing cricket to representative level. He took up a scholarship with UCD for a couple of seasons before returning to Pembroke. He has also competed in two editions of the New Zealand Hockey League where he played with the Southern Dogs regional team. This season, he has taken on a new challenge, linking up with Belgian champions KHC Dragons. A bolter in Craig Fulton’s first international tournament squad, Michael Robson was called into the 2014 Champions Challenge squad just a couple of weeks after the South African took over the head coach’s role. It came just seven months after he won the European B division with the Irish Under-18s having captained the Irish Under-16s two years earlier. Since then, he has amassed over 80 caps despite still only being 23 and his cool head in midfield with skill and distribution makes him a composed star in the side. After the Champions Challenge, he made his elite level tournament debut in spectacular style at the European Championships in August 2015, winning the bronze medal. He was a reserve for Rio 2016, travelling out to the Olympics as a “P-player” but was not called into the matchday squad. An injury-hit 2017 saw him play in the Euros in Amsterdam but not much else but he has been almost an ever-present in 2018 for Ireland, playing 21 ties to date in between midfield and forward lines. On the club front, he learned his trade with Annadale before moving to Lisnagarvey for a couple of seasons and is playing with Crefelder HTC in Germany since 2017. A dynamic midfielder with a devilish drag-flick, Shane O’Donoghue also provides Ireland’s chief goal-threat with the matter of becoming Ireland’s all-time top scorer a matter of when, not if. He is just one off John Jermyn’s record of 93, doing so at the highest games per goal ratio of anybody for almost 50 years – Derek Hennessy between 1957 and 1969 netted 37 times in 23 matches was the last to score at a quicker rate. He made his debut in 2011 at the age of 18 and played in his first ranking event of note at the World League Round 2 in Delhi, scoring five times, in 2013. In 2015, he scored three times in both the World League in Antwerp to ensure Olympic qualification and in the European Championships bronze medal success – including two against England. He was duly nominated for the FIH Rising Star of the Year for his efforts. He earned his Olympic rings in Rio 2016, scoring twice in Ireland’s 4-2 win over Canada, their first victory in the competition in 108 years. He added another against Argentina for good measure. He played a full role throughout the World Cup qualifying process in 2017 via the World League Semi-Finals and the European Championships. Indeed, he has been a pillar of consistency, playing 50 of Ireland’s last 56 international games over the past two years. O’Donoghue grew up with Glenanne where both his father and mother were players, the former being part of the first ever side from the club to win the Leinster Senior League, Irish Senior Cup and All-Ireland Championships. He would follow in those footsteps as he won an Irish Senior Cup in 2010 when still in school. He went to UCD for his studies before departing to Belgium and Dragons with whom he won back-to-back Belgian league titles in his first stint. He returned to the Glens for a season, propelling them to the EY Hockey League title for the 2017/18 season before returning to Belgium and Dragons for a second spell. He combines hockey with his studies as he completes a Masters in Performance Psychology from UL. While in Belgium, he also works with Mentally Fit Institute. He was previously in Dublin Gaelic football underage training panels, learning the game at St Anne’s in Bohernabreena. The Lisnagarvey stalwart has been one of the stand-out defenders for the last six years with the Irish team since making his debut aged 24 and a half, the oldest first cap of any of the current squad by over a year. It came in the lead-up to the 2012 Olympic qualifiers and, after that campaign, he quickly became a central member of the panel, playing in virtually every series since the World League Round 1 in Swansea in September 2012, He has captained the side over 30 times. 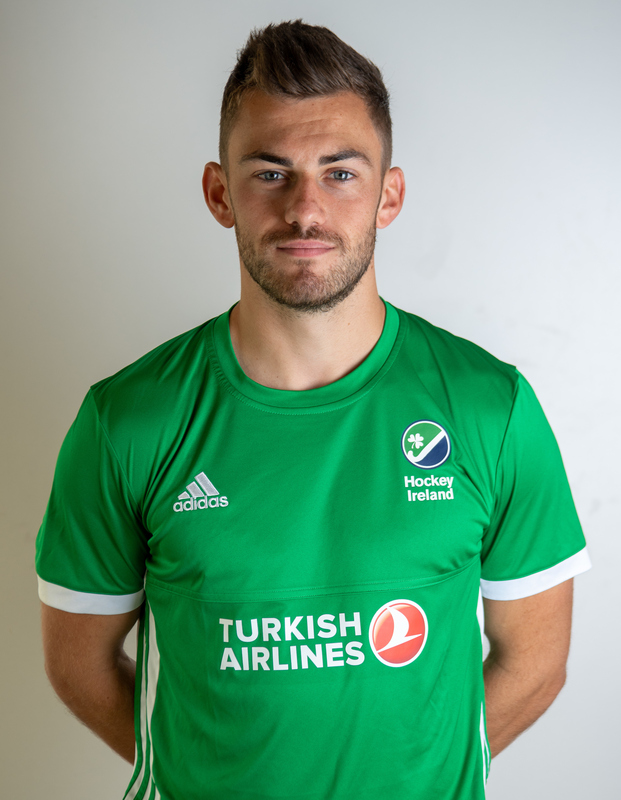 He has formed a great understanding with the likes of Conor Harte and Paul Gleghorne with whom he has rotated in the central defensive roles as well as at either right or left back. For Bell, the signature games for him came in Antwerp in 2015’s World League Round 3, particularly in the wins over Pakistan and Malaysia. He missed the 2015 European Championship bronze, though, through injury but was a central figure in 2017, playing in the World League Semi-Final and the European Championships. In 2018, he has been one of the most constant figures, playing in 25 of the 27 international matches this year. On the club front, he is a one-club man and captained Lisnagarvey to the inaugural EY Hockey League title in 2016. He has also played in the Euro Hockey League, reaching the KO16 in 2013. He combines his hockey with a full-time job as an environmental planner. 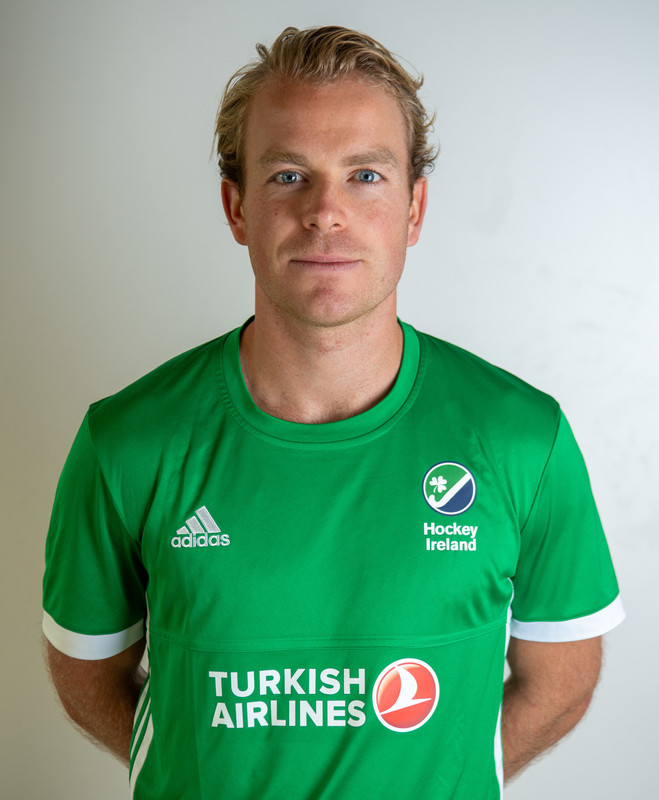 A twin to goalkeeper and captain David Harte, Conor is a formidable sweeper with excellent concentration in the tackle and great vision to spray powerful passes from the back, either along the ground or via the aerial route. He made his Irish debut on the same day as his brother in August 2006 in Le Touquet and he became a central player for the 2012 Olympic qualifying campaign and has been a central figure ever since. In the Olympic qualifiers in Antwerp, he sustained a shoulder injury in game four and missed three crucial games but came back strong in the European Championships to win the bronze medal in August 2015. He was an ever-present in the qualification campaign for the World Cup in 2017, lining out in Stormont and Johannesburg, as well as the European championships in Amstelveen. He grew up in Kinsale in west Cork where he played GAA with Courcey Rovers and was introduced to hockey at Bandon Grammar School, winning the All-Ireland schools championships. 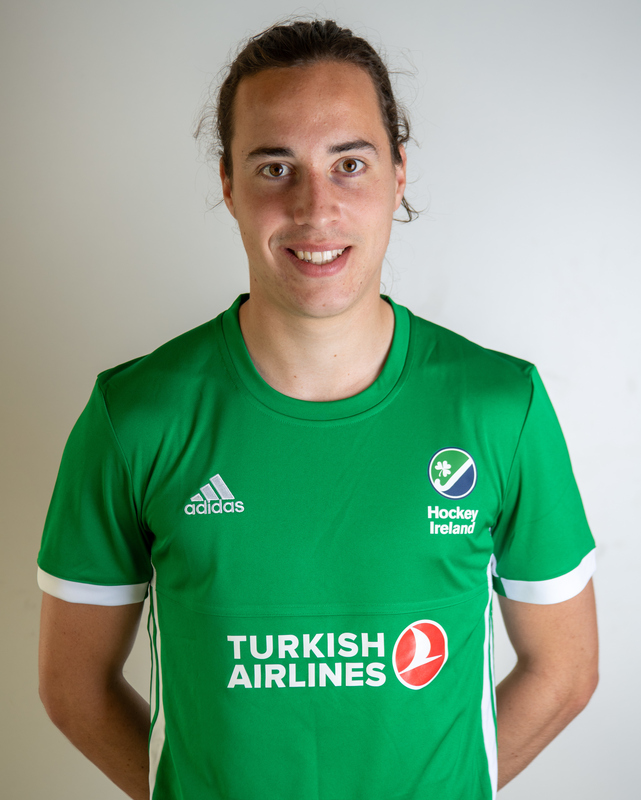 He moved to Dublin to study in DCU and play with Pembroke, winning a famous quarduple along with a EuroHockey Club Champions Trophy title in 2009. All the way, he lined out alongside his brother and both moved to SCHC in the Netherlands after college before their paths split with Conor moving back to Pembroke and then on to Racing Club de Bruxelles for the last four seasons. In 2015, he also had a stint with Dabang Mumbai in the Hockey India League. Conor’s father Kieran – a cousin of decorated manager Mickey – is a former goalkeeper with the Tyrone senior football team. He is currently pursuing a PHD via CIT and is a qualified teacher. A teak-tough defender, usually in the central role alongside fellow twin tower Conor Harte, Paul Gleghorne is one of the best tacklers in the world game with an uncanny knack for nicking possession. Indeed, his bravery and ability to put his body where previous few others would dare was typified in Ireland’s 4-2 win over England in the European Championships bronze medal match when he tore muscles in his shoulder but still exited the game as player of the match. It was made all the sweeter as he was playing against his older brother Mark, a former Irish international who has since declared for England and Great Britain. They will likely meet in the group stages when the Green Machine take on the English. With Ireland, he quickly became a central figure after making his debut in 2009, called into the World Cup qualifiers panel after just five caps and three months after his debut. He has been an ever-present in major tournaments ever since and has only missed three Irish games in 2017 and 2018, playing a full role in the World Cup qualifying campaign in Belfast and Johannesburg. His school days were spent with RBAI and Instonians before his studies took him to England where he played with Loughborough Students. 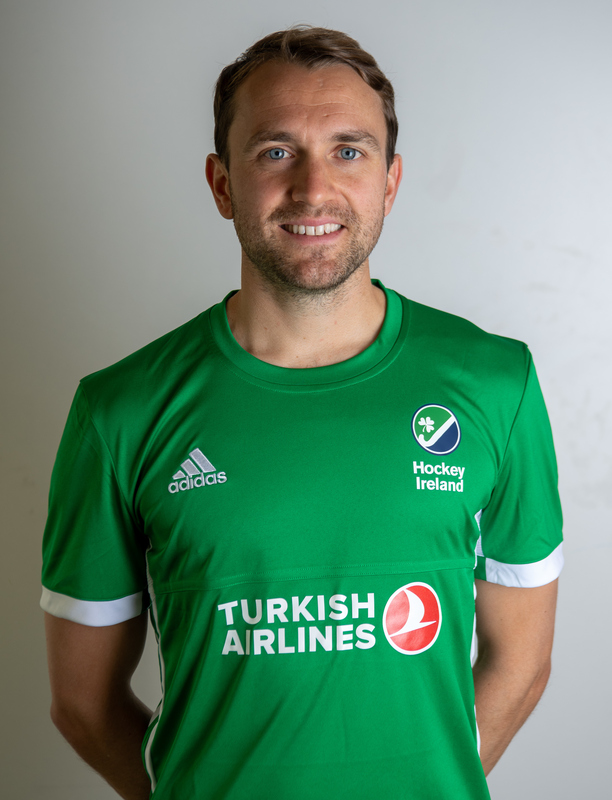 He returned to Ireland and Inst before switching to Lisnagarvey, helping the side win the inaugural EY Hockey League in 2016. 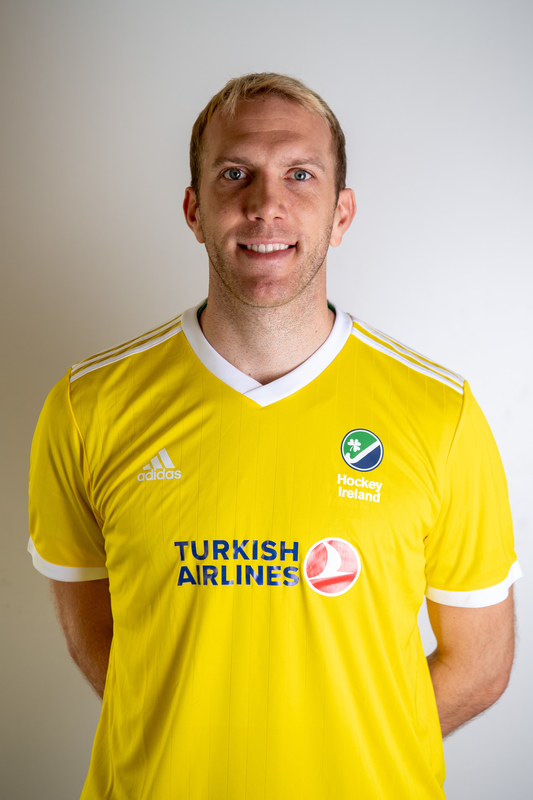 Paul is an accountant by trade and has previously played in tournaments by taking unpaid leave but had moved this season into full-time hockey in Germany with Crefelder HTC alongside fellow Ulster men Matthew Bell, Michael Robson and Neal Glassey. It was the 2015 European Championships when Matthew Bell truly came of age as an Irish international star in the bronze medal match against England. While he had played a ranking tournament at Champions Challenge I in 2014, the performance against the English was a massive moment as he took on some heavy lifting in the backline with both Ronan Gormley and Paul Gleghorne nursing injuries, Bell shining with an immaculate showing. It was not quite enough to force his way into the Olympic squad but he has very much been a central figure since 2016, playing in each step of the World Cup qualifying journey in 2017 in Stormont and Johannesburg as well as in the European Championships. A Banbridge boy, he won back-to-back All-Ireland schools titles in 2010 and 2011 with Academy and was with the club up until two seasons ago. 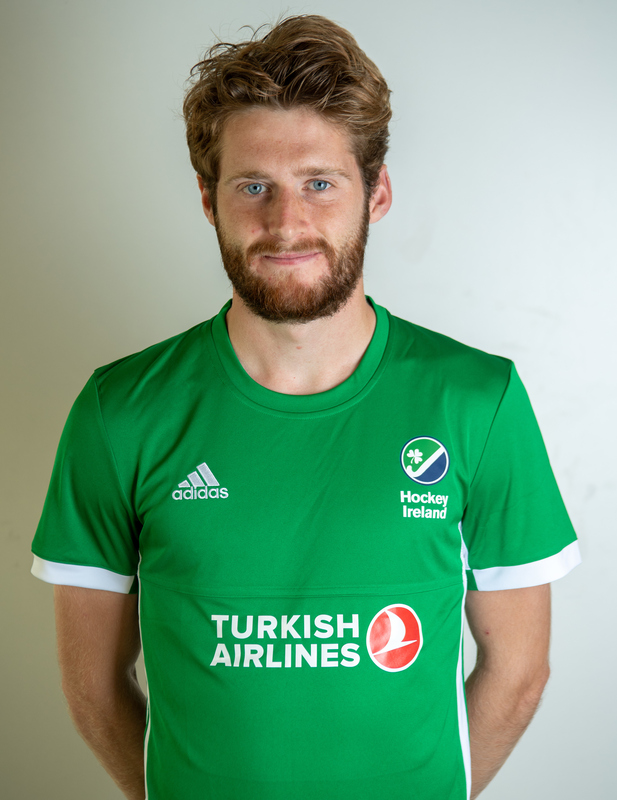 With the club, he won the EY Hockey League and Irish Senior Cup double in 2017 while he was also a heroic figure when Bann eliminated Royal Leopold and Saint Germain in the EHL ROUND1. The club runs very much in his veins with his father a lifelong member. He graduated with a masters in mechanical engineeer from Queen’s University before moving to Germany to play hockey professionally with Crefelder HTC where he is in his second season. Lee Cole comes from a family of incredible hockey-playing calibre with both his father David (Didi) and uncle Johnny lining out for Ireland. He is one of four brothers with eldest brother Stephen just missing out on selection for this competition while David has also played for the senior team and younger brother Geoff is an Under-21 international. He made his senior debut in February 2015 on a frozen night at Three Rock Rovers but his senior tournament debut did not come until 2017’s World League Round 2 following a number of the Olympians stepping away. He took his chance and was included in the Hamburg Masters winning side and the 2017 European Championship panel later the same year. In 2018, he has featured in 22 out of 27 games, establishing himself as a fixture in the line-up. His schools hockey career culminated in captaining St Andrew’s to a slew of titles including the 2012 All-Ireland prize. 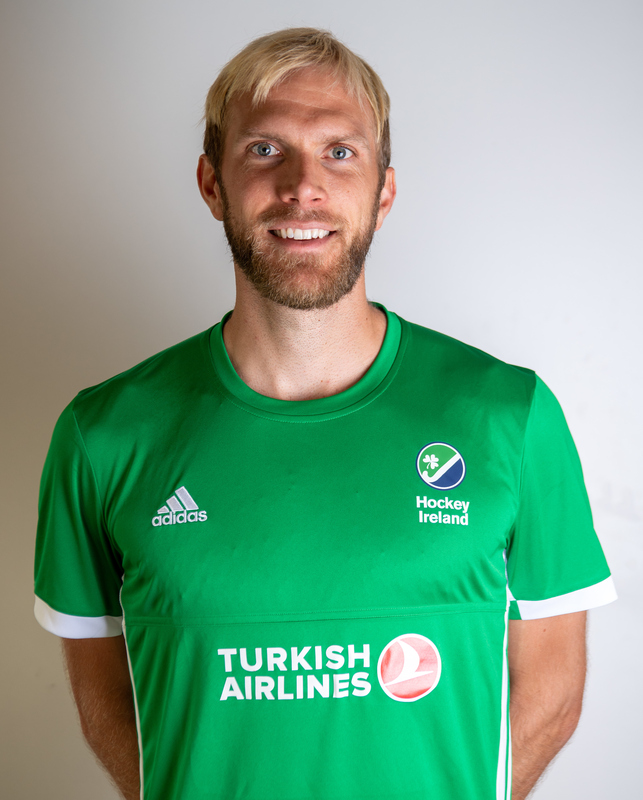 On the club front, he is a Monkstown man at heart, playing a key part in their three successive Irish Hockey League victories. He moved to Royal Oree in 2017 and is now in his second season with the Belgian club. Cole is a Business and Management graduate. Stu Loughrey first broke into the Irish setup in 2011 as a 20-year-old and was a mainstay in 2013 when he played in all three ranking events that year – World League Rounds 2 and 3 as well as the European Championships, scoring a rare but crucial goal to keep Ireland in the top tier in a 3-3 draw with the Czech Republic. After that, it took another four years for Loughrey to break back into the team for a ranking event but 2017 was certainly the year he pinned down one of the full-back slots. The gold medal at the Hamburg Masters set the tone and he went on to be an ever-present in the World League Semi-Final where World Cup qualification was assured and then again at the European Championships in Amstelveen. His youth hockey was spent between St Andrew’s College where he won the All-Ireland Schoolboys Championships and Pembroke with his two brothers Mark – an Under-21 international – and David. He moved to England for university at Loughborough and has since played for Bath Buccaneers, Cannock, Reading and, most recently, Hampstead &amp;amp; Westminster. He is a PE teacher. 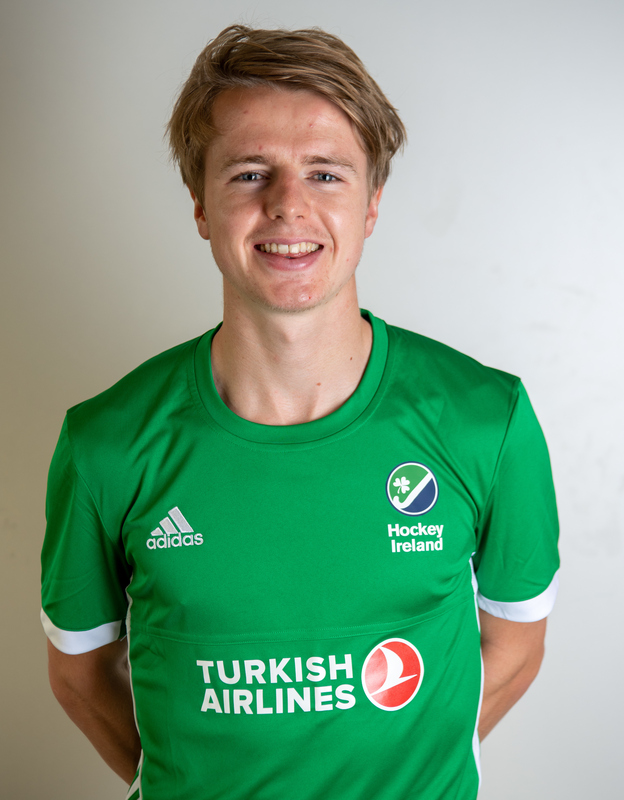 Luke Madeley is the newest member of the Irish panel and has not played in a major ranking tournament before, showing the speed of his recent rise to prominence. 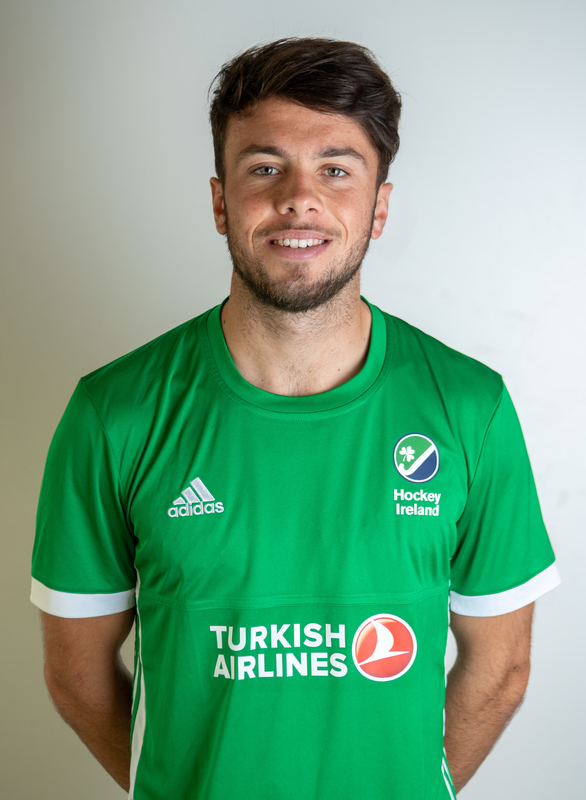 He made his debut in 2017 in a 3-2 win over Pakistan before captaining the Irish Under-21s in the EuroHockey Junior Championships in Valencia. Since the turn of the year, he has played a greater role with nine caps in 2018. 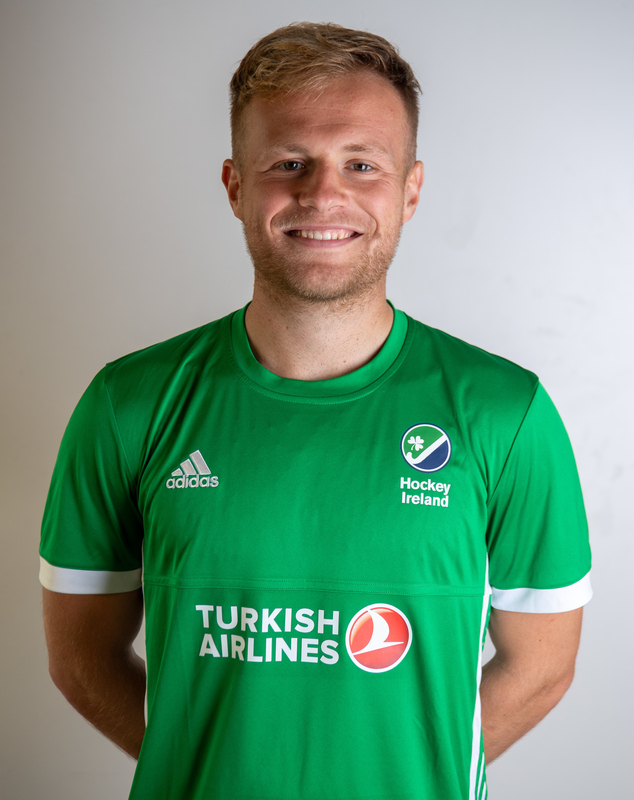 His club appearances with Three Rock Rovers helped propel his rise, notably scoring a last minute goal in EHL ROUND1 against Junior FC to see the Irish club eliminate their Spanish counterparts in October. 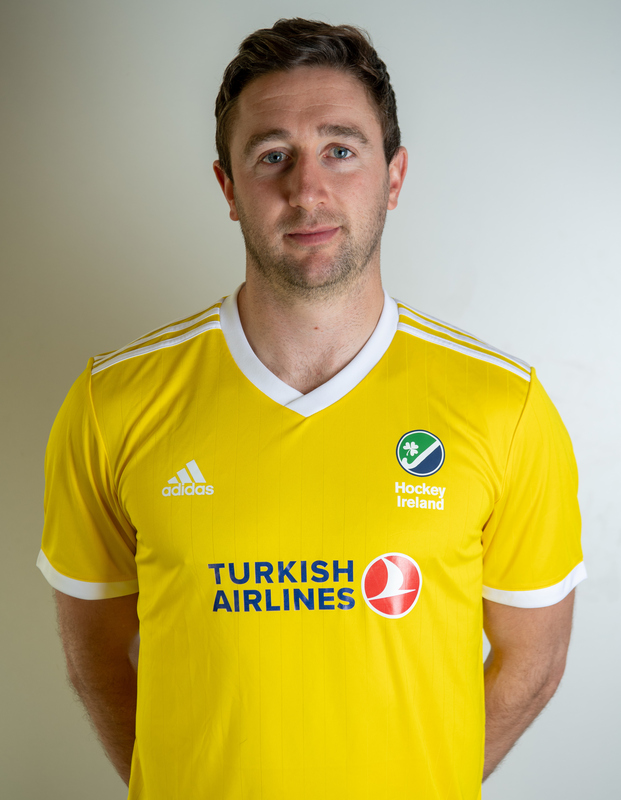 Rovers won Irish national titles both indoors and outdoors – including the Irish Senior Cup when he scored a hat trick in the final, the EY Champions Trophy and National Indoor Trophy – last year as well as the EuroHockey Indoor Challenge II with Madeley a pivotal defender in both codes. His mother, Siobhan, is well-known in hockey circles as the communications manager of the European Hockey Federation. The powerful defender is one of four Wesley College graduates in the panel alongside Kirk Shimmins, Daragh Walsh and Mitch Darling. During his school days, he also played out-half in Wesley’s Vinny Murray Cup winning rugby side in 2013. He completed a degree in history and geography earlier this year. Ireland’s captain and goalkeeper David Harte is the side’s iconic figure with so many accolades to his name. 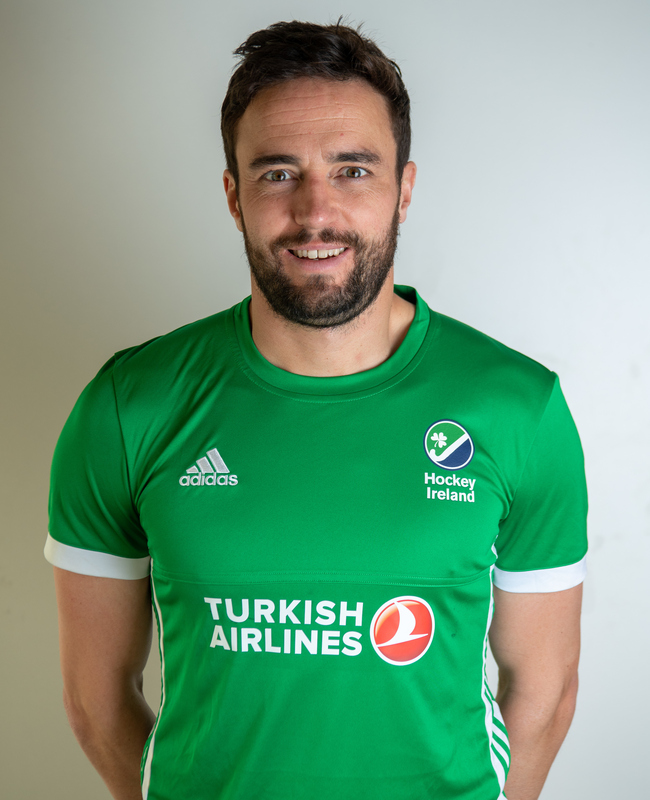 He won both the 2015 and 2016 FIH Goalkeeper of the year and has more clean sheets (34) for Ireland and captained the side more times (56) than any other Irish goalkeeper. Indeed, he is the only goalkeeper to pass 200 caps, amassing numerous Goalkeeper of the Tournament awards, notably at the 2015 World League semi-final which assured Olympic qualification, and in Ireland’s run to European bronze in 2015 in London. His biography starts off in a similar manner to his twin brother Conor. He grew up in Kinsale in west Cork and was introduced to hockey at Bandon Grammar School, winning the All-Ireland schools championships. 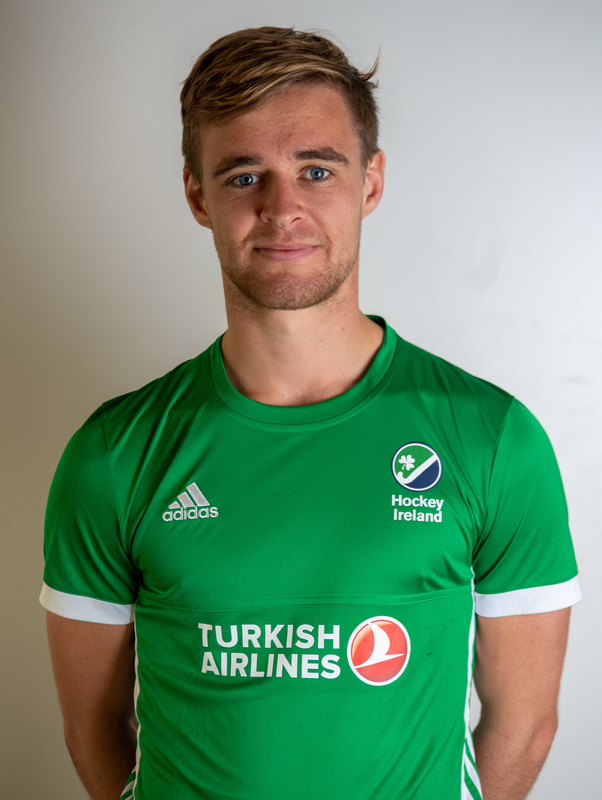 He moved to Dublin to study in DCU and play with Pembroke, winning a famous quarduple along with a EuroHockey Club Champions Trophy title in 2009. He made his Irish debut on the same day as his brother in August 2006 in Le Touquet. After Pembroke, both moved to SCHC but David stayed in the Netherlands where he linked up with SV Kampong with whom he became the first Irish man to win the Euro Hockey League in 2016. He also became the world’s most expensive goalkeeper, being signed for three seasons to date with the Hockey India League, his fee being $51,000 in 2016. David’s father Kieran – a cousin of decorated football manager Mickey – is a former goalkeeper with the Tyrone senior football team. He is a qualified PE and biology teacher but plays hockey full-time and continues to be part of the Kampong team that has won back-to-back Dutch Hoofdklasse crowns. 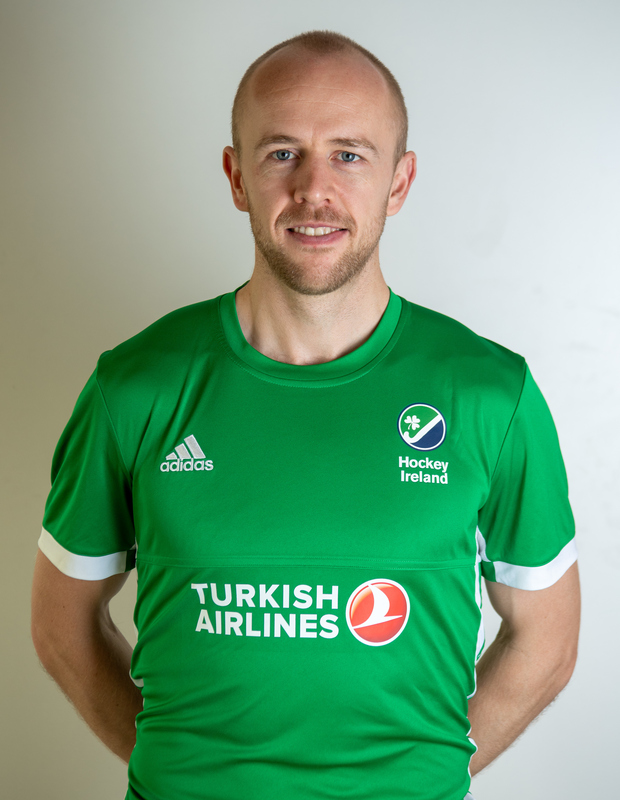 He was recently named to the FIH’s athlete commission, a role he also fulfils for the European Athletes Commission and the Olympic Council of Ireland. The ying to David Harte’s yang, David Fitzgerald has been the long-time back-up goalkeeper to the world’s number one, always on hand to step in when required between the posts. Between 2012 and 2016, he was the go-to second goalkeeper, including three European championships, culminating in the bronze medal in London in 2015. He was one of the reserve “P-players” for Rio 2016, staying in Brazil but not making it into any of the match-day squads. He missed the vast majority of the 2016-17 season with a shoulder injury and he only played his first international match in 18 months in February of this year. 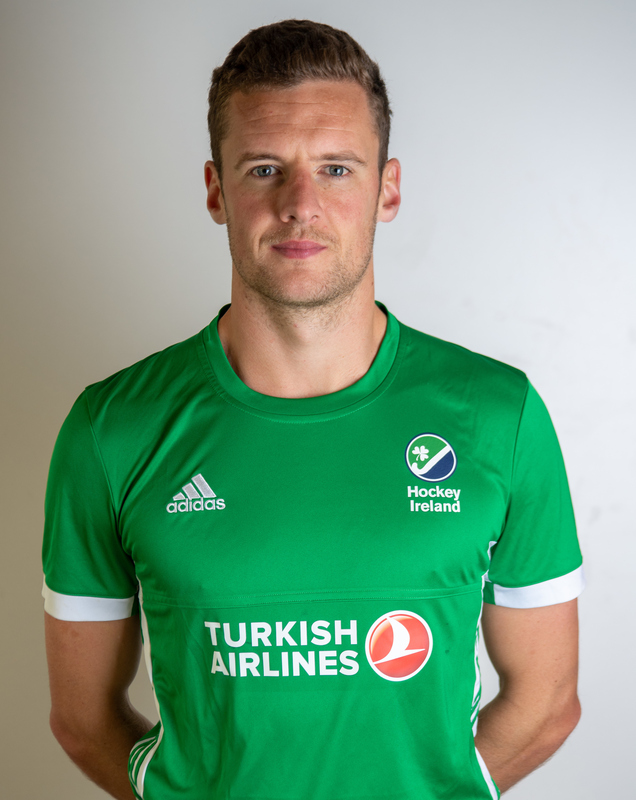 He has played his entire club career since the age of nine with Monkstown, helping end their 99-year wait for the Irish Senior Cup in 2013 and he has gone on to win three Irish Hockey League titles and a EuroHockey Club Champions Trophy title in 2014. Click here for the official World Cup site.